More than 100 civil society organisations (CSOs) participated in the 3-day 6th Asia Pacific Forum on Sustainable Development (APFSD) themed ‘Empowering people and ensuring inclusiveness and equality’ held in consultation with governments of Asia Pacific region and UNESCAP in Bangkok. The CSOs gathered at the event under the umbrella of Asia Pacific Regional CSO Mechanism (AP-RCEM), a platform for CSOs to engage with United Nations in this region. The CSOs emphasised that for sustainable development to be achieved the burden needed to be shifted from communities to be resilient, to addressing the systemic issues like neoliberal and extractive model of development. 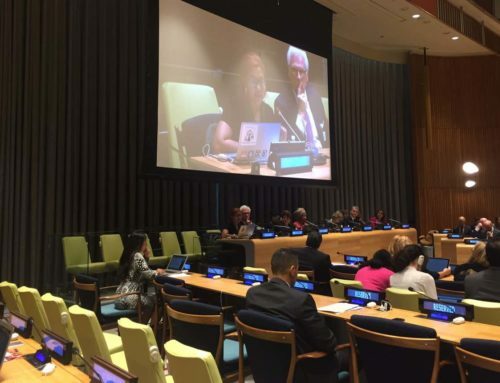 Civil society also raised concerns that engaging private sector to implement the Sustainable Development Goals (SDGs) will undermine the human rights of the most marginalised communities and people. “This year’s theme of empowering people is greatly hinged on recognising freedom of association. It is lamentable that trade union density in the region is one of the lowest in the world and violation of human and fundamental workers’ rights contributes to this. It is unacceptable that workers strikes are dispersed violently and trade union leaders get jailed on trumped up charges or are killed. 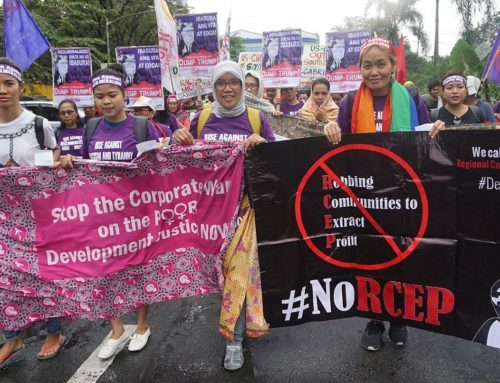 Our voices need to be heard in an environment where we are treated as co-equals by the state that does not bow down to corporate power,” added Julius Cainglet, Vice President, Federation of Free Workers, Philippines, an affiliate of the International Trade Union Confederation and representing Trade Union Constituency. Civil society organisations stressed the importance of including them the process of achieving the Sustainable Development Goals. “We know that it would take courage for governments to shift from the dominant model of partnership based on greed which is heavily reliant on economic growth. 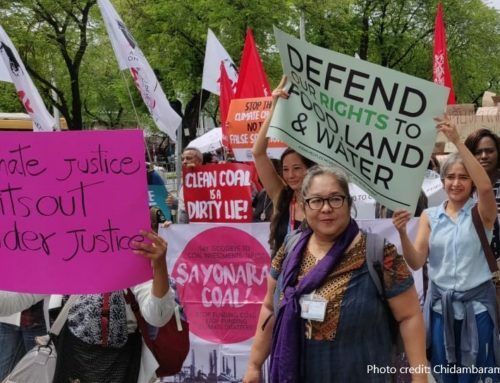 Genuine partnership can exist and work when we share objectives and vision for development justice based on solidarity where peoples’ movements are able to hold governments and corporations accountable. 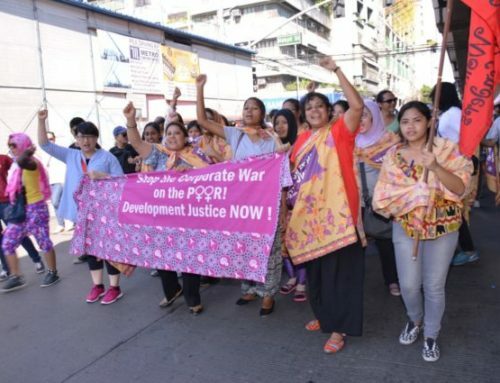 True peoples’ empowerment, inclusion and equality can only happen when we can redistribute wealth, power and resources from the elites to those who have been systematically left behind,” said Wardarina, Asia Pacific Forum on Women, Law and Development and Co-chair of Asia Pacific Regional CSO Mechanism. 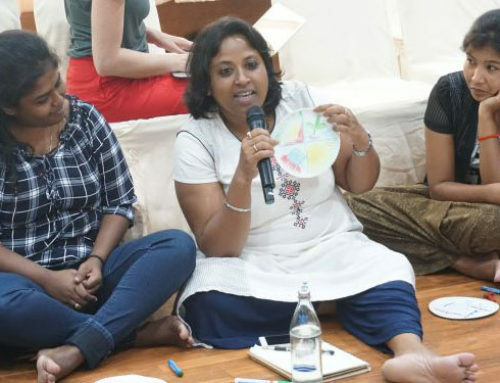 Consultations from over 260 civil society organisations and human rights defenders who attended the Asia Pacific Peoples Forum on Sustainable Development from 24th-26th March in Bangkok were reflected in AP-RCEM’s key demands for sustainable development for the Asia Pacific region.